Building Lawyer Brisbane | Gold Coast | Regional Qld. Karen Schwede LLB is the Legal Practitioner Director of the firm. Karen was admitted as a Solicitor in 1988 and as an Australian Legal Practitioner she is qualified to practice in any state. She has extensive experience as a Solicitor within Australia and Internationally having worked for large law firms, Barklays Bank, and the Queensland State Government. Karen's experience as a Legal Officer for the Queensland Government gives her a unique insight into the workings of State Agencies such as the Queensland Building and Construction Commission - QBCC. This experience can be invaluable when representing clients against the QBCC. Karen's broad experience base includes being a qualified Solicitor in England, Wales and Hong Kong. She has worked for large law firms in London and was the Asia region in-house legal counsel for Barclays Bank. Brisbane 07 3036 5233 or Gold Coast 07 5677 0533. We understand that building disputes are inherently stressful and can be legally and technically complicated. We support our clients with practical advice to minimise the damage of being involved in a building dispute. In Queensland, the Government has decided that the majority of building disputes must be heard in the Queensland Civil and Administrative Tribunal (QCAT. The consequence of the legislation is that building disputes involving large amounts of money have to be heard in QCAT which normally has a monetary limit of $25,000. In practical terms building disputes involving large amounts of money take on a life similar to that of a commercial dispute involving large amounts of money which would have to be heard in the Queensland District or Supreme Courts. This creates a situation where it is not uncommon to see parties to building disputes represented by Lawyers and Barristers as would routinely be the case in the District or Supreme Courts because of the amounts of money involved. 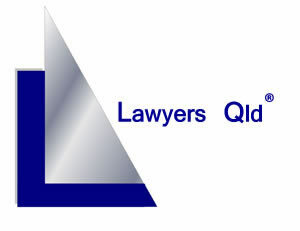 QCAT was created to enable parties to disputes to be self represented and legal representations is not allowed as of right as it would be in the Queensland District or Supreme Courts. In complicated matters or matters involving large amounts of money an application for legal representation can be made to the tribunal. QCAT will never discourage a party to a dispute from seeking legal advice. An application for legal representation in QCAT is an application to have a legally qualified person speak for you and be with you at any hearings or any mediation. Call now on Brisbane 07 3036 5233 or Gold Coast 07 5677 0533. Gold Coast 07 5677 0533. © Lawyers Qld Pty Ltd - Liability limited by a scheme approved under Professional Standards legislation. Copyright Lawyers Qld Pty Ltd.